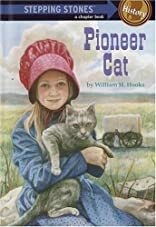 Nine-year-old Kate Purdy is traveling from Missouri to Oregon by wagon train, and she's worried about Snuggs-the pretty little cat who took a shine to her and decided to come along for the ride even though there are no pets allowed on the wagon train. No matter what happens, Snuggs the cat has to stay a secret! William H. Hooks has written over 40 other books for children, including The Legend of the Christmas Rose and The Mighty Sante Fe.